Focal has extended their range with 3 new products that they will be showing at NAMM 2018. The Focal Shape Twin, 2.5-way monitoring loudspeakers together with the Listen Professional and Clear Professional headphones. Focal is expanding the Shape range with the new flagship, Shape Twin. This 2.5-way monitoring loudspeaker is designed to offer great performance from only a distance of 1 m. The compact design is intended to make it easy to integrate even into the most cramped of rooms. The Shape Twin monitor speakers feature two passive radiators, woofers equipped with a new Flax cone, and the latest “M”-shaped Aluminium/Magnesium inverted dome tweeter. The Shape Twin is made in France, just like Shape 40, 50 and 65 and have been designed to meet the needs of near-field monitoring, these monitors combine an ingenious design and numerous settings optimised for the acoustics of small listening rooms. The compact design is intended to make it easy to integrate even into the most cramped of rooms. Finally, its 2.5-way design gives it a real advantage when it comes to controlling the bass and lower mid-range registers which are the hardest to control in small rooms. Focal describes the Shape Twin’s five innovations as presenting "a remarkable tonal balance, with very wide and precise stereo imaging. The low frequencies are well defined as well as controlled. 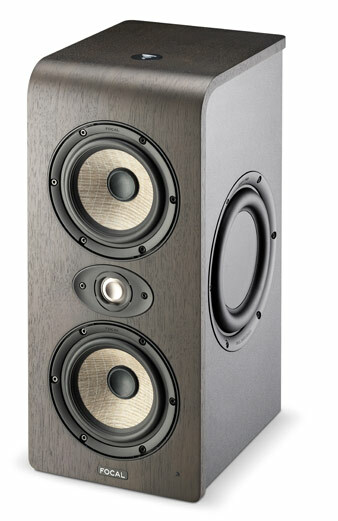 The low-mid and mid ranges provide a true neutral sound". The Shape Twin is expected to be available in April 2018 with an expected US street price of $1099 per monitor. Clear Professional is a variation from the brand new high-end headphones, Clear. 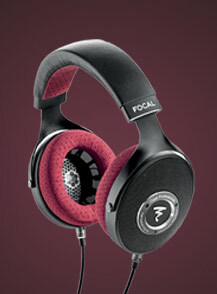 These are Focal's first reference headphones designed especially for the professional audio industry. 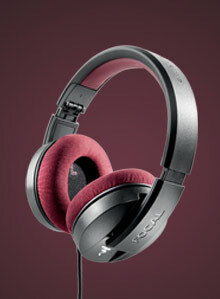 These open-back headphones benefit from Focal’s latest technological innovations launched with Clear and Utopia. The dynamics, the open-back design, the neutrality and the ability to reveal the slightest details of the audio spectrum make them perfect for producers, sound engineers and musicians looking for total control over their work, regardless of the environment. The Clear Professional headphones are expected to be available in February 2018 with an expected price of $1,699. Focal are replacing their Spirit Professional headphones with the new Listen Professional which are equipped with brand new highly-tested mechanical components designed for intense use. These closed-back headphones have been designed to offer acoustic performance and maximum comfort. Like Clear Professional, they are supplied with a rigid carrying case to offer protection while travelling. The Listen Professional headphones are expected to be available in February 2018 with an expected street price of $299.